I am trying to sort out our SSL certificate through Squarespace. Our domain and company email is managed by 1&1. SSL Certificates are not available for the following domains. This is because the DNS for those domains is not configured according to our current best practices. Please follow these instructions to correct the problem. Domains without certificates will not work if you enable Secure. Are these two issues linked? 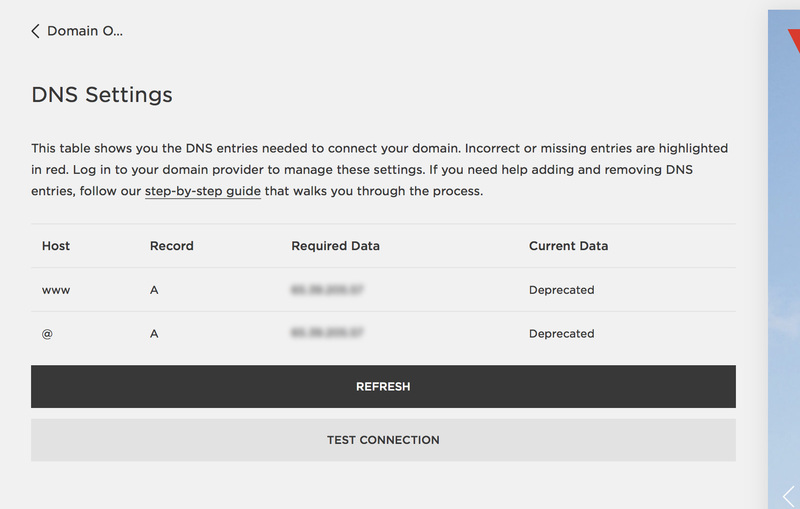 I wasn't the one who set up the domain connection in the first place, and I don't know what 'deprecated' means in this instance. Any help would be greatly appreciated - please let me know if I need to give any further details.